He has since tweeted: "Got a lot of soul searching to do. Sorry to everyone I've let down." Clothing company Reebok has also terminated a deal with the 27-year-old. 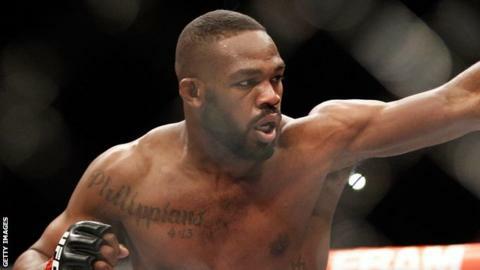 Jones, widely considered the world's best pound-for-pound mixed martial artist, was scheduled to defend his title against Anthony Johnson on 24 May at the MGM Grand in Las Vegas. Daniel Cormier will now take Jones' place in the bout, the winner of which will become the new UFC light-heavyweight champion.